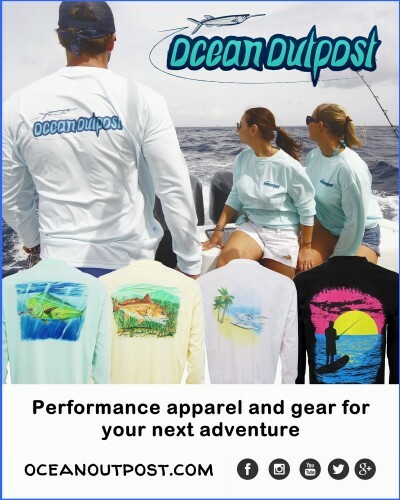 Ocean Outpost federal trademark with domain and social media assets. 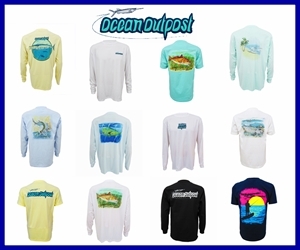 Ocean Outpost was established in 2014 selling performance fishing shirts, t-shirts, hats and other items online to saltwater fishing, boating and beach enthusiasts. 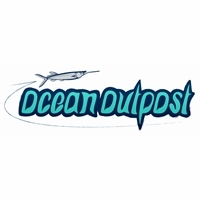 View the website and products at oceanoutpost.com. Offer includes: 1) Ocean Outpost federal trademark, 2) Up to date ecommerce store (oceanoutpost.com), 3) Social media assets (facebook.com/oceanoutpost, instagram.com/oceanoutpost, twitter.com/oceanoutpost, youtube.com/oceanoutpost), 4) Artwork of various shirt designs, 5) Inventory of performance shirts, cotton t-shirts, hats and misc products (purchaser to pay shipping costs).